Guitar Point visit - The best Vintage guitar store in Europe? Probably! 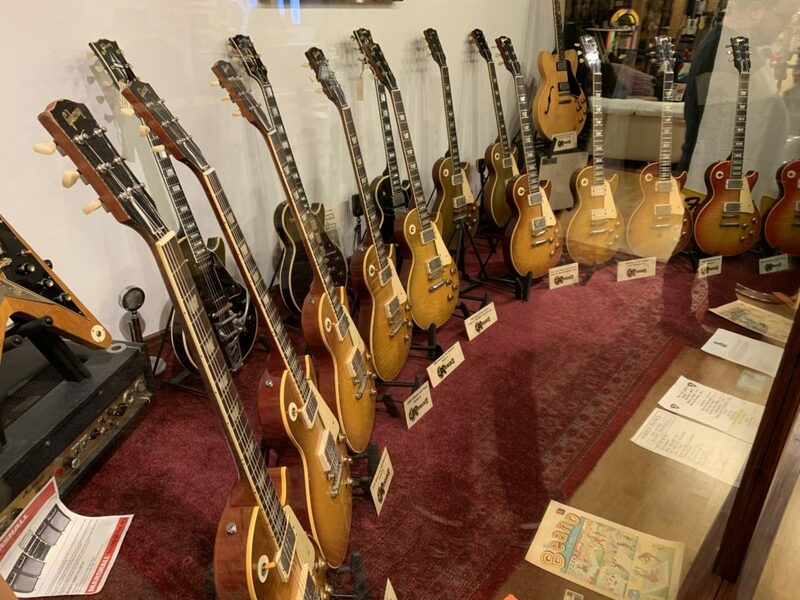 Taking advantage of the trip to Germany for the Musikmesse, The Guitar Channel went to discover Guitar Point the famous Vintage guitar shop. A dozen kilometers from Frankfurt, in a village called Maintal is indeed a unique store which several subscribers of The Guitar Channel boasted the merits for a long time. Well, I was not disappointed! It must be said that for the last 5 years, Detlef Alder, who has created Guitar Point, has organized a Vintage themed exhibition during the same dates as the Musikmesse. This year it was the Les Paul Sunburst. Nothing less than 12 original Burst were gathered that day, including The Beast, Bernie Marsden guitar. Get a free @GuitarPlayback pack with your Backstage Pass!